Excuse us for living, but it’s a safe conclusion to say that we are experiencing more natural disasters. No matter whether you call these weather related events “climate change,” “global warming,” or “extreme weather.” Call them by their real names; like tornadoes in Joplin, Missouri, and Moore, Oklahoma, hurricanes “Katrina” and “Sandy,” western wild fires from California to Colorado, Texas, New Mexico, Arizona, and on and one, most recently the Oso, Washington, mudslide. 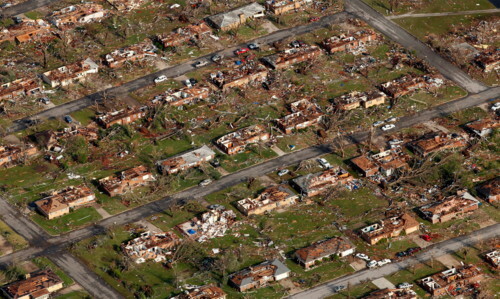 This is an aerial view of a neighborhood destroyed by the powerful tornado that hit Joplin, Missouri, Tuesday, May 24, 2011. That conclusion would be correct. Since 1980 the U.S. has sustained 151 weather/climate disasters each at or above $1 billion in 2013 dollars. That total cost comes to…hold on to your bloomers…in excess of $1 trillion! Granted, there is a difference between the greater, overall costs of severe disasters and that which is assistance and expense paid out by the federal government. But if you go back over the past 50 years, the number of U.S. presidential disaster declarations has multiplied four fold and the cost to the federal government has tripled. Just in 2013 alone, there were 7 weather/climate disasters – -severe weather and tornadoes, floods, droughts, fires – -with losses over $1 billion each event! Overall, 109 people died. So to wrap our heads around this problem, federal responsibility for the fiscal years FY 2011-2013, had Congress appropriating at least $136 billion for disaster relief. – -Nineteen departments and agencies in all from FEMA (the Federal Emergency Management Agency) to the Army Corps of Engineers. Let’s stop right there for a moment, put aside dollars spent, and acknowledge the human tragedy of lives lost, injuries, homes and communities damaged and destroyed. Our minds go immediately to our fire department and police department as the first responders on September 11, 2001. Even though acts of terrorism are not natural disasters, the results and needs are basically the same. And then we think of hurricane Katrina in 2005 and the efforts of FEMA falling far short. How vivid are those mental pictures of U.S. Army Lieutenant General Russel Honore` commanding Joint Task Force Katrina going into New Orleans to coordinate military relief efforts and maintain order. A U.S. Navy MH-605 Sea Hawk helicopter approaches the flight deck of the aircraft carrier USS George Washington with relief supplies for Typhoon Haiyan victims, the Philippines, November 17, 2013. Juxtaposed to these images are those of help and assistance offered by the U.S. military throughout our nation’s history to those around the world in need in times of natural disasters or otherwise. 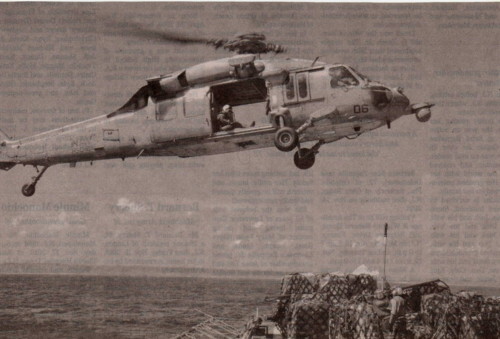 It was just last November 2013 that the U.S. Navy conducted “Operation Damayan” as part of a relief effort in the aftermath of Typhoon Haiyan in the Philippines. As recently as this March and April 2014, U.S. military assistance has had a $4 million presence so far in the search efforts for Malaysia flight 370. And the U.S. military makes no secret that such efforts project a positive image of the U.S. armed forces and their capability around the world. 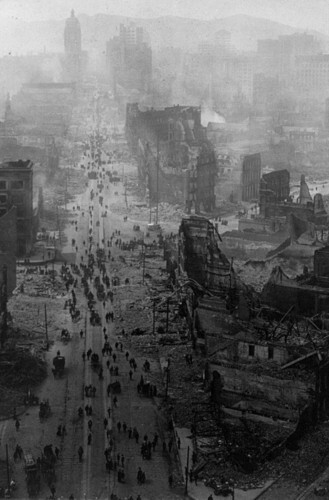 Devastation of San Francisco after the 1906 earthquake and fire. For those familiar with San Francisco, pictured is Market Street and its environs. “Following Roosevelt’s direct order, the army and navy quelled public unrest and effectively evacuated residents to safety. The armed forces also provided food and shelter for the homeless. The USS Preble was anchored offshore from San Francisco to provide humanitarian relief. At the request of Mayor Eugene Schmitz, martial law was imposed, with orders to shoot looters. The USS Chicago evacuated 20,000 people by sea (numerically a world record until Dunkirk during World War II). 1. Posse Comitatus can be avoided by federal troops conducting logistical and relief operations, leaving law-enforcement to the National Guard units reporting to the respective state governors. – -Curious that this did not stop Teddy Roosevelt from moving swiftly into action in 1906 San Francisco. – -Nor did it stop Presidents from using federal troops in the civil rights movement: Eisenhower at Little Rock Central High School, Little Rock, Arkansas, 1957; and Kennedy at the University of Mississippi, Oxford, Mississippi, 1962. 2. The Stafford Act of 1988 authorizes the use of the federal military for disaster relief at the request of a state governor, but not in the performance of law enforcement. 3. However, the President may invoke the Insurrection Act of 1807 to use federal troops to restore order. And so in 2005, President George W. Bush called active-duty federal troops into New Orleans in the aftermath of hurricane Katrina invoking the Insurrection Act as well as other authorities. 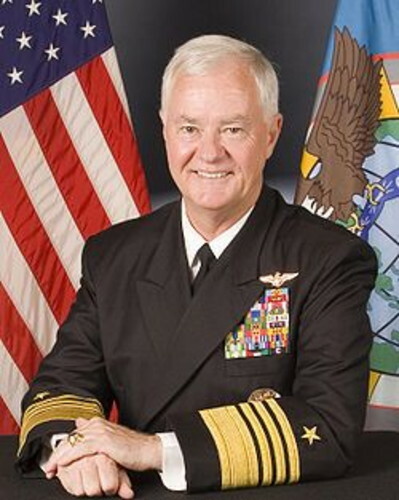 Admiral Timothy J. Keating commanded the U.S. Northern Command (US NORTHCOM) from 2004 to 2007. In 2005, after Katrina, Admiral Keating proposed using active-duty forces to combat disasters. 4. In the wake of Katrina in 2005, that very same year, the U.S. military’s Northern Command, under Admiral Timothy J. Keating, developed a proposal to organize a special active-duty force to respond quickly to assist relief efforts in natural disasters and terrorist attacks. While Secretary of Defense Donald Rumsfeld acknowledged the sweeping array of capabilities of the active-duty military, he took no action on the proposal. 5. In 2007 the Department of Defense concluded that the Department of Homeland Security needed authority during domestic emergencies to use all available resources including the National Guard, the Reserves, and the regular federal armed forces. Following that recommendation, as part of the 2007 National Defense Authority Act (heretofore referred to as NDAA), Congress amended the Insurrection Act of 1807 to give the President the power to federalize the National Guard and mobilize all other federal military components in response to “any serious emergency.” This major change was passed into law despite fifty-one governors objecting to the amendment in writing prior to its passage. 6. And so in the 2008 NDAA the Congress repealed this change to the Insurrection Act. The power of the state governors to once again direct the federal military responding to natural disaster emergencies was restored. And yet in actuality, the President as Commander-in-Chief could assign federal active duty forces to a joint task force with a state National Guard and still retain ultimate command authority over the federal forces. – – Clearly, further clarifying direction was needed if we were to have smooth sailing in an emergency situation. 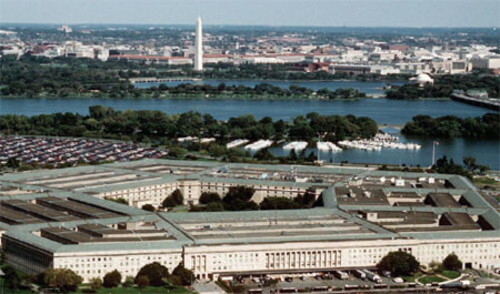 The Pentagon, headquarters of the United States Department of Defense, is located across the Potomac River in Arlington County, Virginia. Ground breaking was September 11, 1941, just prior to World War II. The building was dedicated January 15, 1943. Excuse us for living, but this ain’t your great grandfather’s and Teddy Roosevelt’s U.S. military force and federal government of a century ago. The military progressed while the government went bureaucratic! Natural disasters are reaching proportions that threaten our economic security which have national security implications. And while we have the greatest respect and gratitude for the efforts and contributions of our fire and police departments as our first responders, active-duty forces could fill the gap in communities that are overwhelmed by disasters. Our history tells us that for disaster relief, caused by nature, or terrorism for that matter, we need a major military piece in place with legalities worked out in advance and logistics and operations on the ready. It sounds like the Dual Status Command with military assets in place at all levels, state and federal, might stand up to the challenge. And it would put Posse Comitatus concerns going back to that 1878 Act behind us once and for all. Maybe Teddy Roosevelt knew what he was doing in 1906 San Francisco! Comments: “Hit me!” I’m ready! Present military cut backs of money and troops? We can handle that. This is doable. – – The alternative, “Disaster”! Another greatly written post by you Phil! I agree with you, we should certainly take a lesson from history in this matter. A lot of people will be saved if this would be handled the right way. Do we think the military could do a better job than FEMA? Yes, yes we do. If the military does a better job than FEMA, do we think that the current crop of Republicans will try to derail it in the future? Yes, yes we do. As an aside, I wrote my history term paper as a senior in high school on the 1906 Earthquake. Since I was significantly involved in music at the time–piano, violin, and voice–I was intrigued by one tidbit (tidbit?) that I discovered: One of the survivors of the earthquake was the great Enrico Caruso. I believe we would be well served by the formation of full-time, year-round disaster relief teams. Let’s call them DRT. They would be set-up on bases similar to the US military, maybe even share the existing space, equipment and some of the training. They could be specialized trained for disasters such as fires, floods, extreme weather, tornados, etc., and during slow parts of their seasonal work, be cross-trained for other disasters. Many times the disasters can be assisted by simply having lots of healthy bodies with the right tools. They would also be responsible for dissemination of the essentials – water, food, blankets, shelter, and for logging and assisting disaster victims. When Colorado has forest fires they often have to get fire-fighters from other states and coordinating this can take several days. With a DRT command center trained people with the right equipment and supplies can be on their way within a couple of hours. When I was with the 101st Airborne Div, the different Battalions rotated being on alert for duty anywhere in the world. They were to be airborne within two hours with all their equipment. Get trained people on site as soon as possible and the problem can be controlled sooner including aid to the victims. If things get out of hand, then call in the military starting with the National Guard. Take this a step further and set up an Academy similar to the Coast Guard – all the training needed with minimal military. This covers a lot in a few paragraphs but I think you can understand where my thoughts are headed. I have to admit that I only scanned your original post. When I have time I will go back and read it more closely. I would like to point out that if the Disaster Relief Teams that I envisioned were in place, the initial responders would have been on site of the tornados last night, coordinating with local authorities / setting up command centers / medical clinics / cafeterias / tents with cots, blankets, pillows / porta-potties / shower tents / basic clothing / assisting with searches for wounded and deceased / walking and rolling patrols / etc. When I see TV coverage of the devastated sites, I am always struck by the number of people just wandering around like zombies, barely alive and not knowing what to do, local authorities completely overwhelmed, and no one to turn to for help. The DRTs would fill a huge need. Plans and commands may be in place but they still have rivers of red tape and decisions to get through before anything is done. When a disaster occurs, for example forest fires, getting “boots on the ground” ASAP can mean the difference between getting control or trying to fight a fire that is completely out of control. When it comes to finding and treating injured, immediate triage and treatment is essential. When there are tornados or flooding, the local medical facilities may be damaged or overwhelmed. Trained EMTs with the DRTs would fill a much needed role, especially since they would have helicopters for immediate transport to close-by, larger, better equipped (and with more personnel) hospitals. The important point is no waiting, discussing, pondering. Get the initial DRTs airborne and on their way. If they get there and aren’t needed or wanted, send them back to their base and call it a training exercise. The DRTs would become a career opportunity with excellent training, conditioning, chances to serve and protect. I can see a lot of young people wanting to join (two or three year initial commitment) and learning skills. Also, since they aren’t armed, many if not all the current constraints would be avoided. I haven’t thought this through in detail but feel it would be a good solution. In the west we are plagued with forest fires every year and the different States are always having to beg for assistance. Again the DRTs would be an immense help in place of or until the trained fire teams show up. P.S. If I was (once again) a twenty year old drop out from college thinking about joining the Army with Vietnam starting to rear it’s ugly head, opting to be part of the DRT would be a very viable choice. And, like the Coast Guard, an honorable choice. There is very little difference between our perspectives. The question now is whether these same volunteers/”troops” would be utilized in Missouri and in what manner? I have a friend from Romania who served in its army for two years. Parts of a soldier’s training there is the be trained in construction skills: masonry, plumbing, electrical, carpentry – all of it . That makes sense. It provides a skilled work force in emergency and one after military service completed. Thanks visit my blog. City of Miami Beach has recently passed huge bond issue because there is so much flooding now after heavy rain. They will control it now. Huh? Water level South Florida estimated at 7-9 inches since 1920. Oh yeah, and don’t forget the foreign policy of Lyndon Johnson-greatest disaster post WW 2.